You are going to Watch One Piece Episode 253 English dubbed online free episodes with HQ / high quality. 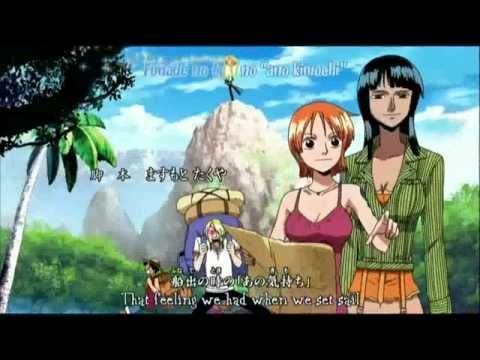 Stream Anime One Piece Episode 253 Online English dub Sanji Breaks In! The Sea Train Battle in the Storm! Nami and the conductors are rescued by Paulie when the Aqua Laguna floods the main station. A man hands Nami a letter he found from Sanji. It informs her that Usopp, Franky, and he are on board the train that had just departed. On board, he storms the cars. High up in the city, Nami speaks with Kokoro and spots Luffy, stuck in between two buildings, in the back streets where the Aqua Laguna will hit first.